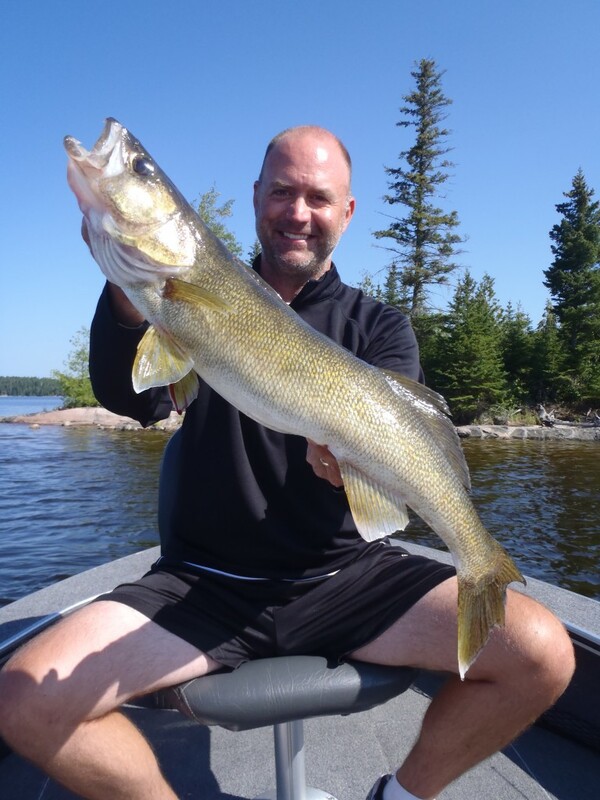 It was a very big walleye week in the southern Basins of Lac Seul. The bite was consistently strong in the morning and usually good to OK in the late afternoon, but overall the numbers were huge. 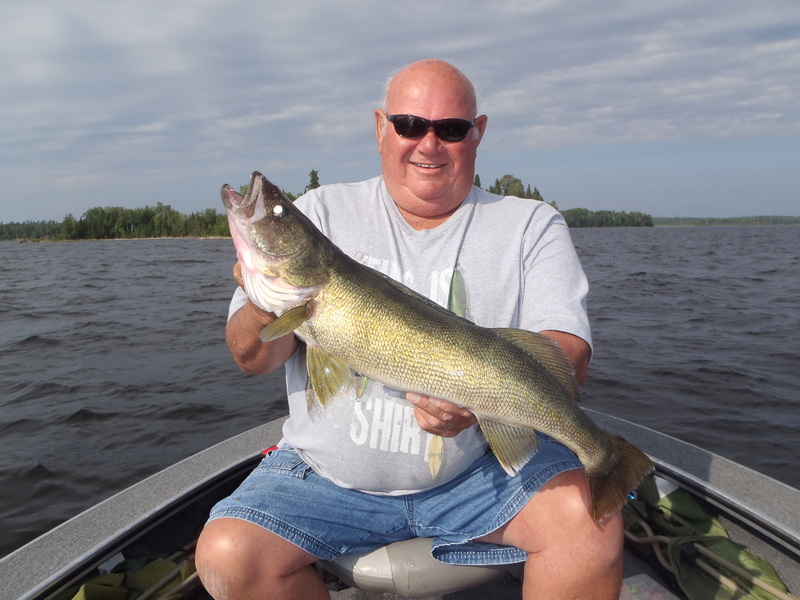 For the week, we boated 55 walleyes over 27 in., including 13 – 28s, and 4 – 29s. 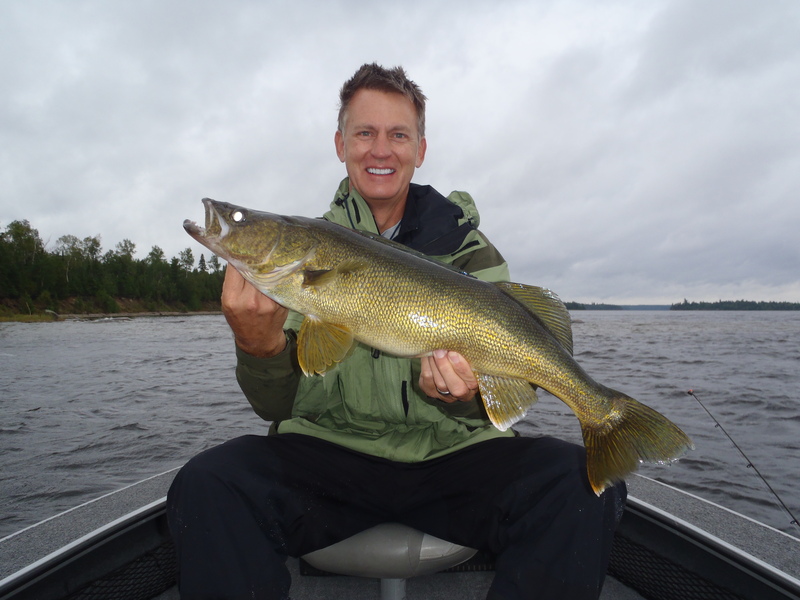 Volume was also outstanding with guide sheets averaging more than 40 walleyes over 18 in. per boat per day. The highest daily total was 88. This past week’s stats are just about as good as we have seen in the past 5 years. 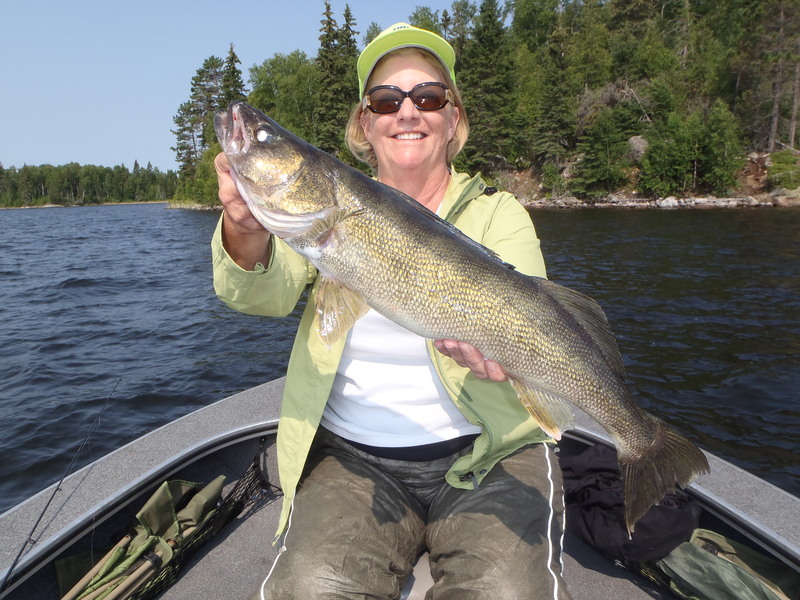 The weather was warm, sunny and consistent throughout the week and most of the walleye action was focused around main lake rock and sand in the 15 – 25 ft. zone. 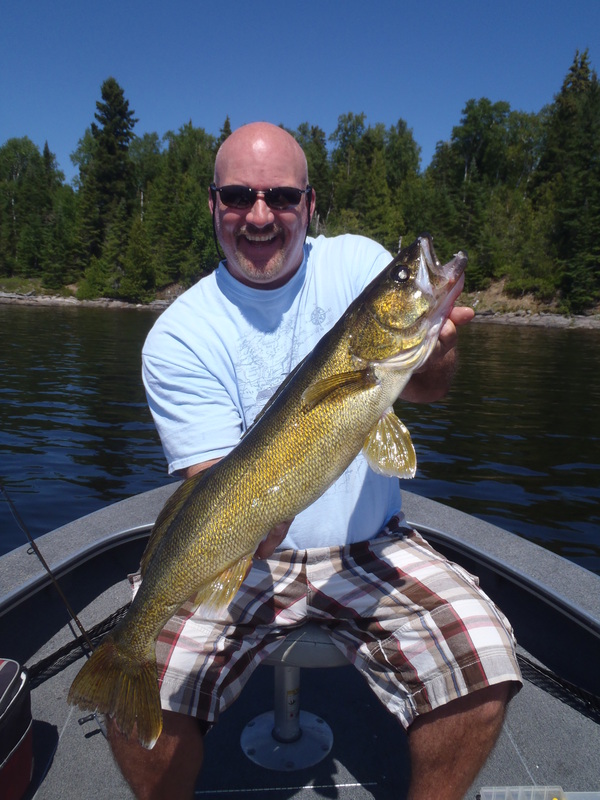 There were some fish caught deeper and some shallower, but 90% were caught in mid depth zones. 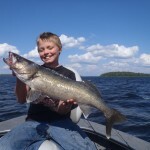 We don’t keep stats on what form of bait fish were caught with, but I would guess that 80% of the walleyes over 24 in. 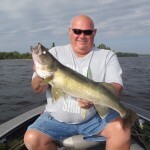 this week were caught with big jigs and Berkley Gulp Alive plastics. These baits flat out cover water and select for big fish when trolled at around 1 mph. I cannot tell you how many skeptical guests have been converted within 15 minutes to the Gulp program. Fished with braid and a heavy fluoro leader, the bites are easy to feel and the hook up percentage on small fish is low, but on big fish is high. 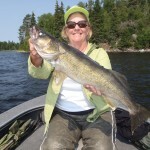 It is just a fun way to fish! 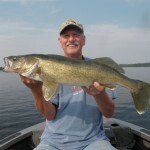 Miss a bite, drop your rod tip back, let the bait settle, twitch once, and half the time you get bit again. A few groups chased pike for part of a day and their results were also respectable. For the week we had, 6 over 37, with 2 – 39s, 1 – 40, and 1 – 41.5. 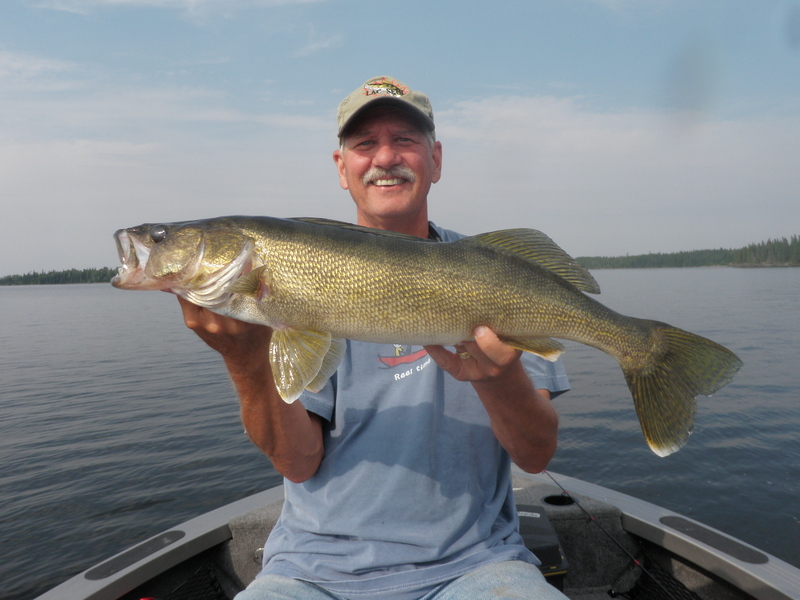 The interesting part about this week’s walleye bite is that more than 75% of it came from areas that we weren’t fishing consistently during previous seasons. 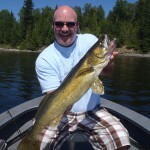 Many of our “go to” spots for mid July were duds this week. 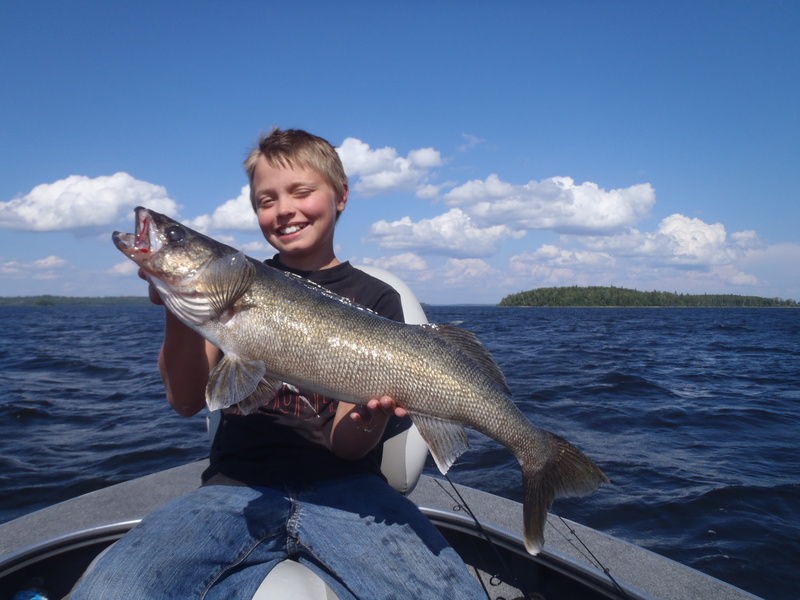 Most groups caught their biggest fish on spots they had never seen before, even though they have been with us for 10 or more years. The winning strategy was to identify a wind based bite consistent with a depth and to duplicate it. 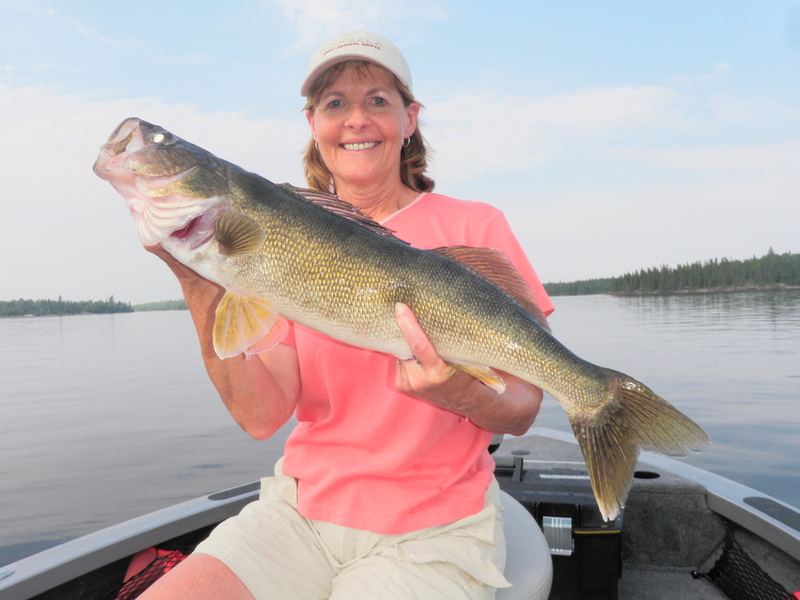 The result was that we had many, many big walleye photos taken with new backgrounds.